Date & place of death/details 16/6/1915 Aged 33. Killed near Hooge, at the battle of Bellewaarde. Ypres, (Menin Gate) Memorial, Panel 19 & 33. Any other information? Age 8 Thomas was recorded as a pauper in the Dery Union Workhouse. A reservist, having previously served in the army, he re-enlisted in Warrington, two days after the start of the war. 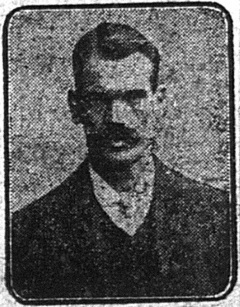 He had a war letter printed in the Derbyshire Times on 30 January 1915. After the war his wife Elizabeth married a Mr George Russell and lived at 8, Seanor Lane, Lower Pilsley. 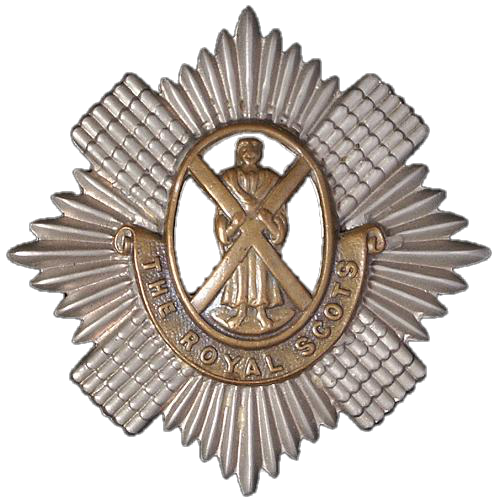 Given the information available, it is very possible that Thomas Morton was was awarded the 1914-15 star campaign medal of the British Empire for his service in World War One. Given the information available it is likely that Thomas Morton was entitled to the Victory medal, also called the Inter Allied Victory Medal. This medal was awarded to all who received the 1914 Star or 1914-15 Star and, with certain exceptions, to those who received the British War Medal. It was never awarded alone. These three medals were sometimes irreverently referred to as Pip, Squeak and Wilfred. 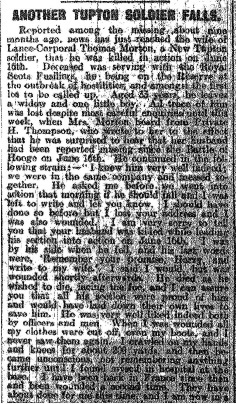 From the information available, it is very possible that Thomas Morton was entitled to the British War Medal for service in World War One. This British Empire campaign medal was issued for services between 5th August 1914 and 11th November 1918.